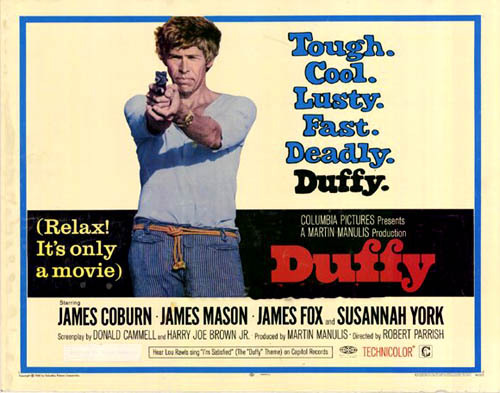 DUFFY (1968) (U.S./British) 101 min. 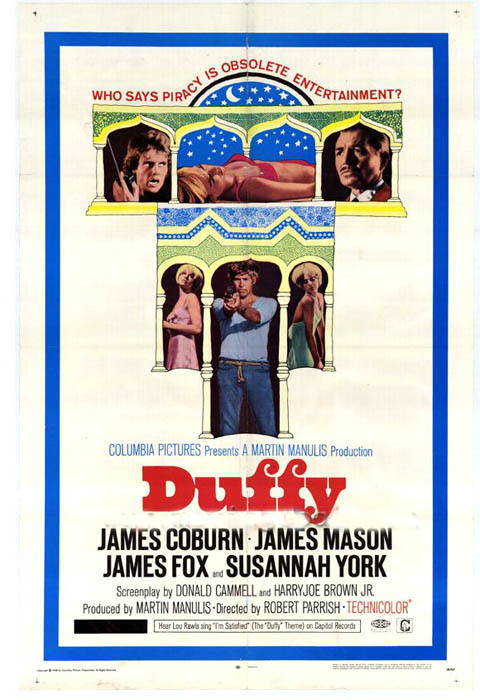 Starring: James Coburn, Susannah York, James Mason. Scammy caper crime comedy starring Coburn as a cool American hired by two half-brothers who decide to rob their father of bank notes he is transporting by ship. 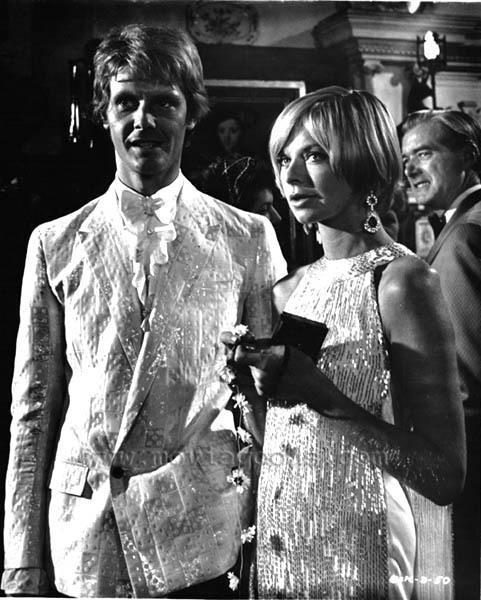 York is the freewheeling girlfriend of one who becomes enamored with Coburn in this delighful rarity.